MacraMAKE something beautiful at one of Macrame Momma's Workshops! Take part in knotting patterns that are perfect for beginner and experienced fiber artists. Choose from projects such as macrame plant hangers, market bags, vintage owl, or other home accents such as macrame pillows, jar wraps and wall hangings. Let’s show Orlando what beautiful things can happen when we work together and macraMAKE our Orlando community a little more beautiful. We’ll be working with local empowerment group, Queens for Queens, to support their mission of instilling the power of female connections and unity amongst millennial women. Come any time between 11am and 4pm and stay for as long as you’re able. All experience levels are welcome and appreciated. This is a free community event. Family and Dog Friendly. We’ll me be meeting on the Dinky Line Bike Trail next to Ten 10 Brewing Company. Victorian inspired blush macrame dress with timeless draping, looped collar and sleeve detailing, and modern macrame structural details such as knotted zippers on the side of torso and back of neck for easy wear-ability and adjustments. 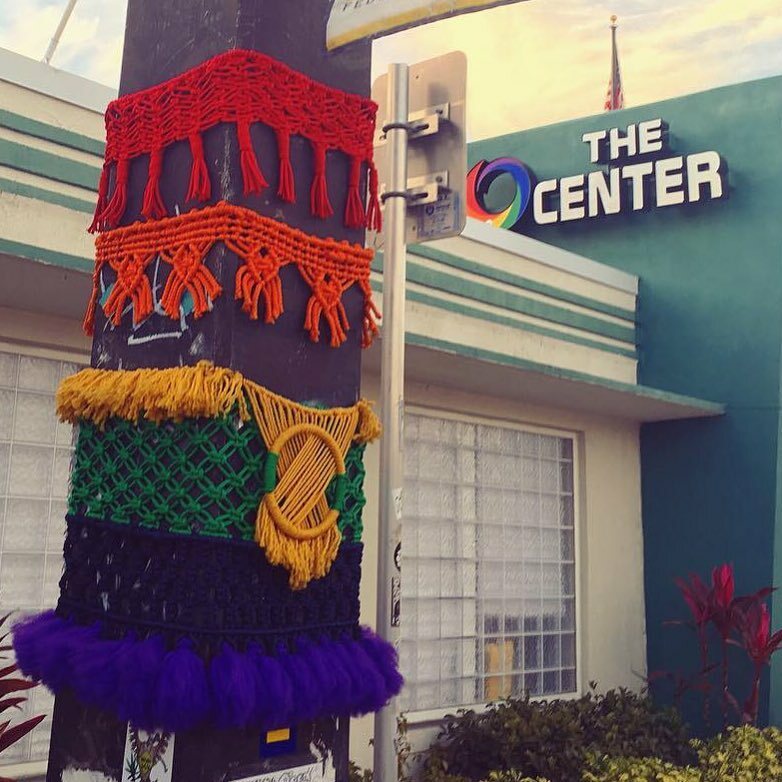 MacraMADE in Orlando, Florida with cotton cord.